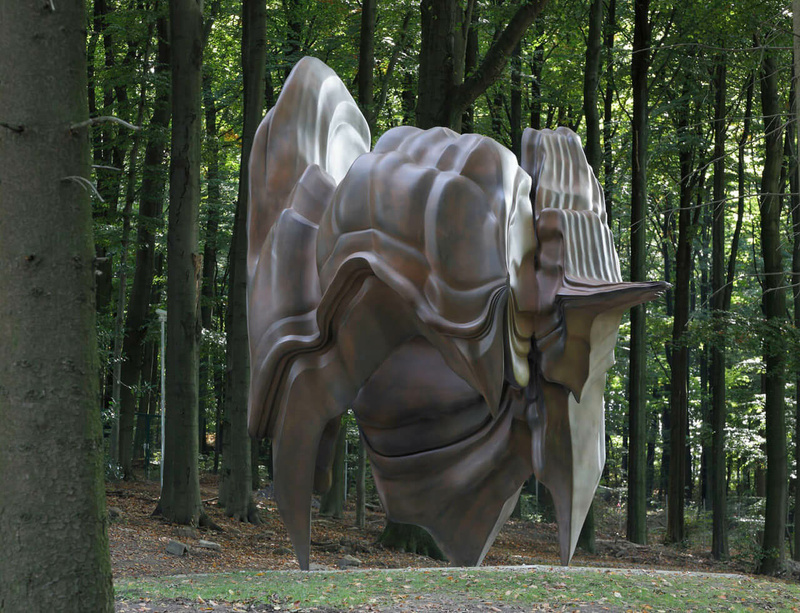 Installed on the west gravel section of Madison Square Park in New York (18 September – 8 February 2015), Tony Cragg’s Walks of Life consists of three monumental bronze sculptures on three lawns. Cragg’s Caldera (2008, pictured above) is a strapping, tumultuous sculpture that rests on three points. Viewers will have the opportunity to walk beneath the work to experience its massive presence. At eighteen feet high, Mixed Feelings (2012) commands a northern lawn. Three times human height, the object is simultaneously immense and elegant. Points of View (2013) is a tripartite work of sinuous forms which interact with one another and with the viewer on the Park’s Oval Lawn. Facial profiles zig and zag across each column’s surface. All three sculptures in this exhibition were cast specifically for Madison Square Park.